French researchers have developed a robot finger that can be plugged into a smartphone to enable a completely new way of interacting with the device. But the most important question remains unanswered: Why? Astro Bot Rescue Mission: were we thinking about VR wrong? Marc Teyssier and his team at the University of Paris-Saclay are working on robotics, and now they've come up with something for smartphone users: an extra finger. A robot finger plugged into the USB port of a smartphone. In this video, you can see your finger in action on a smartphone. It can appear as a naked robot finger as well as a human-looking one, with lights on or even fur. MobiLimb will be officially presented this month in Berlin. 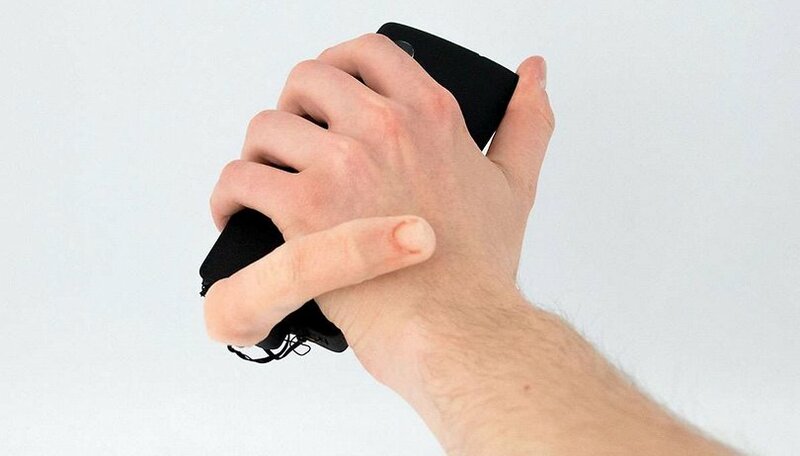 Who needs a finger on a cell phone? Marc Teyssier emphasizes the practical advantages of the finger, which is intended to take interaction with the smartphone to a new level. Notifications can be tapped on the table, messages can be stroked on the hand or the finger can be used as a joystick. Perhaps it could even flip off would-be thieves who fail to unlock it. With MobiLimb, the smartphone can even move around when the finger pulls the smartphone behind it. That looks terribly scary! Seriously, this is the most nonsensical smartphone gadget I've seen in a very, very long time, and I find it rather creepy. There are really a lot of things that can be improved on smartphones, no question about it. But giving them a finger is definitely not a priority for me. Would you put a robot finger on your smartphone? Why? LOL this is the first click-baity headline that i can actually appreciate.